I've long contended that if Hux (or whoever) were to try and usurp Kylo, they'd do it quietly and have a guy in his mask as their puppet. One of the main reasons for this is that, if we presume Kylo put his mask back on fairly quickly after TLJ (or was replaced fairly quickly) then not all that many people would have actually seen his actual face. 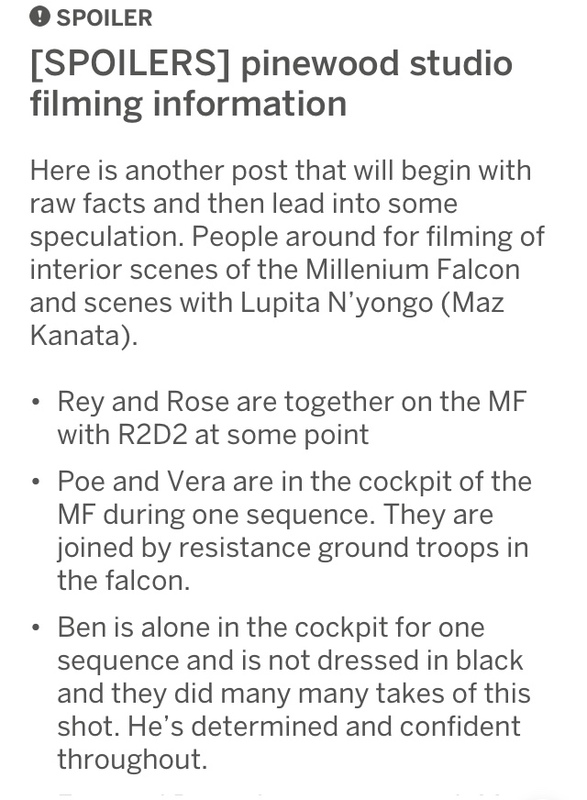 The reason that is important is that it provides an "out" for Ben Solo if in the process of his redemption the fake gets unmasked for all to see and the general public believes the fake to have been Kylo Ren all along while Ben Solo returned from wherever he had disappeared to in order to help save the day from the evil leader of the First Order. Hmmmm... supposing the bit about Hux getting captured/defecting is true; what if its NOT Hux who replaces Kylo and the ones who do replace him decide to clean up loose ends (i.e. anyone who knows what Kylo looks like under the mask) and Hux lets himself get captured or defects not out of any sense of altruism, but purely out of self-preservation? Throw in a line from Hux about how everyone else who knows is already dead (but not what this truth is) before he's killed by a First Order assassin and you could have Kylo Ren as the masked Big Bad vs. Rey and the unmasked Ben Solo as the heroes. My prediction if the second Kylo is an imposter is that FakeKylo will be the role played by Matt Smith (for the added meta of having played a character who'd had many faces before) while Grant will be playing the leader of the conspiracy that replaced Ben/Kylo as Supreme Leader. This would also mirror The Phantom Menace where the central plot was in Ben's Grandmother seeking to reclaim her lost throne with the help of the Jedi and the use of doubles and a hidden mastermind. I really love your idea! This could totally work and I really think they could pull it off. (Love the throwback to the prequels too.). It's a very interesting plot, and it could definitely work! The more I think on it, if they really are planning on capping off the “trilogy of trilogies” it would make a lot of sense for IX to mirror a lot of TPM because even if its not the actual ring theory, basic monomyth story structure requires the story to come full circle; to compare and contrast to how things were at the start if nothing else. Similarly, it would similarly make sense to also mirror ANH as THE beginning of the story (in terms of how it was told rather than chronologically) and TFA as the start of this trilogy (and in this case, TFA having so much in common with ANH makes this easier to perform). Finally, as part of this going back we have to look at all the initial promises in TPM and ANH/TFA that have gone unfulfilled up to now, because those are the things that should finally be resolved. Things must be set right, whether that is by restoration of the old or creation of the new. For me, at least, the overarching flaw in the world during the whole series is how the Old Jedi Order and the Republic; the institutions of justice and civilization; grew sick and were all but extinguished. For all his power, Palpatine could have never seized control if the Jedi and Republic had not already been so corrupted. The New Republic and Luke’s Jedi Order succumbed to the same fates in large part because they built themselves on the same flawed foundations. The unrealized promise is the one Anakin uttered upon learning Qui-Gon was a Jedi and what he thought he would become as a Jedi, what Obi-Wan offered to Luke (and the audience) in ANH and what Rey was hoping to find when she went to Ahch-to (and that the Resistance in general hoped to find)... the promise that the Jedi would finally live up to their legend as Heroes and bringers of Justice and Freedom. Heroes who would have crushed the Hutts and freed all the slaves on Tatooine. Heroes who wouldn’t put politics and expediency ahead of doing what is right. Heroes who would not have employed a clone army of de-facto slaves to crush its enemies. Heroes who wouldn’t lie to a young man to try and trick him into murdering his own father (not to mention refusing to help save his friends and not even bothering to tell him the truth about his sister). Heroes who wouldn’t give up on a boy tormented by the machinations of darksiders and who goes off to die on a deserted island in the middle of nowhere when it goes wrong. It’s telling that the great moments where destiny turned were NOT emotionless robot Jedi employing their tired dogmas, but the times when Luke trusted his feelings and turned away from the typical Jedi path (ironically Luke casting aside his saber while exclaiming that he was a Jedi was about the least Jedi thing to do) and the moment when Vader embraced his love for his son and destroyed the Emperor. The promise of the Trilogy of Trilogies can only be answered by the TRUE Return of the Jedi; not the whithered branch we saw in the prequels and which Luke convinced himself was the path to return to, but whatever the original Jedi were that earned them the reputation as galactic heroes and champions of justice. Ones who stand against the unstoppable, say “no further” and then push back the forces of evil. And to truly meet that promise I think this True Jedi must be Ben Solo. Rey will help him, but the truth is that this has always been Ben Solo’s story (which is why Rey could disappear for much of the third act) and it will come by embracing his father’s heart. Because the point of “Solo” and the point of re-editing the Greedo scene all those years ago (because Lucas always intended Han’s shot to be in reaction to Greedo’s but it was less than clear originally) is that despite his common birth, Han Solo was always a hero. He put on the facade of being a heartless mercenary, but unlike the Jedi Order, Han actually tried to change things for the better when he was confronted by injustice. 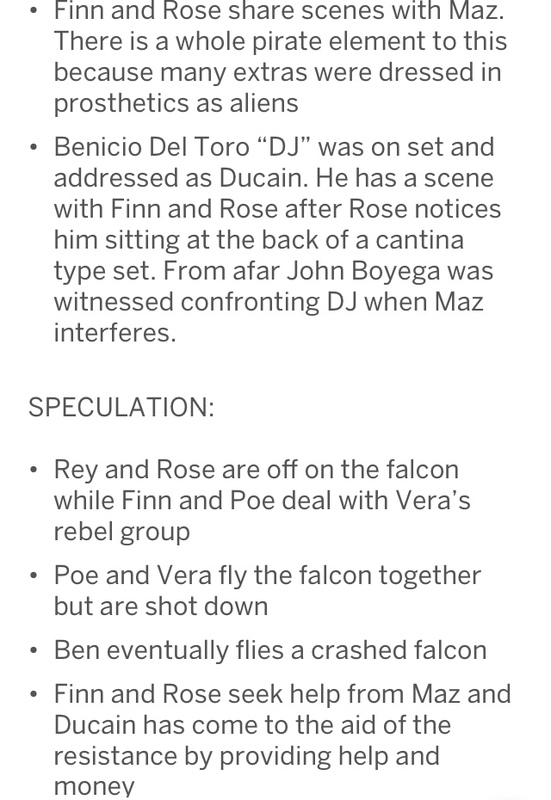 So my hunch is that Rey’s role is to uncover what the Jedi lost from the original texts and relay that information to Ben, which will give him the context he needs to redeem himself. Likely something that will help him make peace with his past and the darkness inside him and connect with his father in some way. I enjoyed and agree with most of your answer, but I actually don't see why Rey wouldn't be this Jedi... Doesn't she have all the qualities for that? To be totally honest, as much as I appreciate Kylo/Ben's character and want him to be redeemed and allowed to start a new life, I wouldn't like Rey to be only a prop in "Ben Solo's story"... I still want the ST to be her story, and Ben a part of it, not the other way round. My personal issue, now, is that I struggle to see why she would be this hero. I haven't learnt anything from TFA and TLJ that can make me think she has any valuable reason to become this Hero, apart from the fact that she is Force Sensitive and powerful... I still hope that Ep IX will provide some answers to this question. But if turns out that her only motivation would be to have Ben Solo back, I think I would feel cheated somehow. That's interesting. The way I see it the stories told in the Star Wars trilogies have always been about the Skywalkers, and the ST is no different. This is the story of how Ben Solo comes back from the dark side with Rey's help, imo. I don't think that makes Rey a prop. Rey is central to the story, our entryway and point of view character, and in Rian Johnson's words, "half of our protagonist." For me at the end of the day this trilogy is about Ben Solo and his relationship with Rey, not about Rey alone. In other words: Reylo is not just central to the story--it IS the story. I love your last post @Chris24601, I 100% agree with your take on the failures of the Jedi and I think you're onto something about "the real Return of the Jedi" but for me again it's more about how Ben Solo without Rey would just be Kylo Ren. I think they come as a set. If anything, for me the real return of the Jedi, i.e., the return to origins, is through the union of Ben Solo and Rey. Either BOTH of them are "the Jedi" or their kid will be, imo. My thinking is that IX is being referred to as the resolution to the Skywalker Saga and, while Rey can marry into that, Ben Solo IS the last Skywalker which means he has to be the resolution to the saga. He has to be the Skywalker who finally gets it right. As much as I love Rey, making her the ultimate hero doesn’t fit with that. The Skywalker Saga being resolved by an outsider who didn’t even enter the picture until two thirds of the way through (versus the final heir of the Skywalker line we’ve been following since Episode I) isn’t good story structure. This isn’t to say Rey is unimportant, but rather like Matthew Brodderick’s character in Ladyhawke, who was the protagonist and viewpoint character, but the story was about undoing the curse upon the man and woman. Similarly, Rey can be the protagonist, but the story is about the redemption of Ben Solo. I think this also partly explains why Rey gets labeled as a Mary Sue by people who aren’t paying as close attention to the story structure. Because Rey doesn’t fundamentally change all that much and doesn’t get training in the same way that past protagonists have. What instruction we do see her get; the cycle of birth, death, rebirth and balance and the failures of the Jedi, learning the details of Ben’s fall and even her experience with the cave were about establishing the important things she will need to play her part in the story... to understand how the Jedi failed Ben and how he might be redeemed. Rey doesn’t need to change much because the character being changed by these events is actually Ben. @Chris24601 I do think Rey changes over the trilogy, the films just haven't pointed out that change very much. She's childishly and naively waiting for her family to come back and make everything better. She physically leaves Jakku in TFA and emotionally by the end of TLJ. As she leaves her frankly sad, deluded dream of her family behind, she attaches herself onto Luke and the Jedi as she believed they were, which is not only still naive, but also just attaches her self-worth and purpose to someone else again. That doesn't work out, so she goes to Kylo, which is just doing this same thing a third time, except more impulsive and poorly thought out. Now she has another falsely cheery face, it just didn't get recognized as such by many viewers. So now she has to get past that too. She might also have to temporarily dump her Resistance pals, which will send some people into a tizzy. Her change isn't nearly as drastic as Kylo's, but that doesn't mean it's nonexistent. The message of the ST is kind of redemption through personal responsibility and not being limited by the past (i.e. the old Jedi, Snoke, family members past and present, one's own mistakes). The filmmakers have been very conscious of not making Rey a passive tool. So we've either got people claiming she's a Mary Sue because they think she has no flaws, or putting her on a pedestal because they believe she has no flaws. Or being upset that her story is so attached to men. But like you said, it's the Skywalker saga, one way or another it was going to be like this. That's not an insult, it's just the story. @californiagirl wrote: @Chris24601 I do think Rey changes over the trilogy, the films just haven't pointed out that change very much. She's childishly and naively waiting for her family to come back and make everything better. She physically leaves Jakku in TFA and emotionally by the end of TLJ. As she leaves her frankly sad, deluded dream of her family behind, she attaches herself onto Luke and the Jedi as she believed they were, which is not only still naive, but also just attaches her self-worth and purpose to someone else again. That doesn't work out, so she goes to Kylo, which is just doing this same thing a third time, except more impulsive and poorly thought out. Now she has another falsely cheery face, it just didn't get recognized as such by many viewers. So now she has to get past that too. She might also have to temporarily dump her Resistance pals, which will send some people into a tizzy. Her change isn't nearly as drastic as Kylo's, but that doesn't mean it's nonexistent. Trouble is, in order to discern a change in Rey you have to squint and make assumptions a lot. For instance, I like the idea that Rey's woo-hooing in the Falcon is a cheery mask. Trouble is, I can't tell if it's any kind of carefully thought-out characterisation, or Rian simply writing Rey to match the triumphant mood of the moment where the Falcon appears to help the Resistance. The films haven't clearly articulated prior to the scene that putting on a mask is what Rey does, so without this kind of clear writing most people are likely to see Rey's cheering as a real thing. Also, I don't think it's correct to say that Rey's time with Luke doesn't work out. In the original version she is obviously frustrated and disheartened after Luke's third lesson. But since Rian decided to cut it Rey and Luke's relationship is actually in a pretty good place prior to the hut scene and there's no sense that Rey lost all patience and hope. Me too! The idea that reylo IS the story, oh my. And look how successfully they've hidden that IN PLAIN SIGHT from the discourse. So, I understand this idea that if a Skywalker started this new generation of Jedi it would come full circle regarding what Anakin did wrong, but I'm less than sure that Ben would want to take this role, to be honest. I'm not convinced at all that he was meant to be a Jedi, or that he wanted to be one. Rey seems more motivated to take this role, and that's actually what most of the audience expects her to do... Even if some of us still wonder why she would want to do that. I know it would be enough for me to see Ben redeemed and be allowed to lead a normal and happy life, because it would also come full circle with the PT and cancel the Skywalker's curse. I can see him helping Rey to build a new Jedi order, but not really be the builder himself. This way, Reylo would still be the centerpoint because Ben's help would be necessary for Rey, the Skywalker would still have an important input in the story to come, without being the center of it. The first two minutes I saw TFA. I told myself: where is Luke? Han? Leia? After Kylo appeared, I picked up the jaw that had fallen in the ground. I told myself. What the hell is Han and Leia's son (aka the son of light) doing the bad guys? Before leaving Ben, Rey tells to Luke:. Ben Solo is our only hope, if he will stay on our side - he can lift the tide. I believe that beyond history, beyond Reylo, beyond the war between good and evil, between light and darkness, and even beyond what is right and wrong. This is the story of Ben Solo, a casket containing all his dynasty, and how he came to light - canceling his curse. Because love that moves the galaxy, and his love is a girl who came from nowhere: Rey. And she's basically nobody, but for someone she's ALL. She is the princess who lives in all little girls, girls, women and old women, who believe that love will change the world. I will be wrong, but I don't see any other stories to tell. Although I will adore if Rey was the daughter or niece of Obi Wan. @giaciak2 wrote: The first two minutes I saw TFA. I told myself: where is Luke? Han? Leia? Your thoughts are really interesting. For my part, I don't see Rey as a character that doesn't belong to this story. She very much changed the narrative with her intervention. And despite GA perception being sometimes (most of the times) very shallow, lots of them see her as the main character. And, hey, @giaciak2, you don't need to say sorry for your English. You're trying to speak another language and this is very laudable. Did Rian Johnson try to tell us something about this, by making Kylo telling Rey: you have no place in this story? His script is so meta aware, you just have to love him for it! As if he wanted to put forward that (problematic?) idea: that Rey's place in the narrative is just in relation to Kylo's. Rian does the lampshading a lot (just think about Snoke telling everything the critics were saying about Kylo from TFA: You were unbalanced, bested by a girl who had never held a lightsaber! You're just a child in a mask!). This is some kind of preemptive strike, like, yes, we know that Ben is the last Skywalker and that the story has to be about his coming back from the darkness (he as a scriptwriter has to know that, he got the brief). In a way, he's risen the stake for the next film's writers, how to make Rey's story matter not only in relation to Kylo's. How to really make them co-protagonists in the wider scheme of things. I was looking recently into various models of heroine's journey, and I came across this: https://heroinejourneys.com/heroine-journey-ii/. Looking at the visual scheme, it is clear that Rey is on the journey of her own, and that the moment of the battle with the praetorian guard is the small taste of success after which the disappointment and despair come. Another helping hand (Leia? Maz? Rose?) will be necessary, in this model, for her to gain wisdom, to overcome whatever her initial conflicts were about (passivity? loneliness? self-doubt about her place in the world?). What's interesting is the point made in the final step (look up the illustration): Through her experience others are changed. That could be Ben, but also Finn, who is on the journey of his own. It seems to me that Rey's and Ben's journeys intersected at one point, and that they both acted as catalysts one for another, that's clear. I don't know enough about the nature of Ben's story arc (is it only the redemption arc? or has it the cyclical journey's structure as well? ), so I'm just letting it here for someone else to develop, if it makes sense. Will their stories come to intersect again? Will they continue together, after both gained wisdom? They could, as individual characters, but what about the saga, what about the galactic war, what about the force? I don't envy the writers of the ep. IX! @MaddieDove very intersting point heroine-journey! About this "but what about the saga, what about the galactic war, what about the force? I don't envy the writers of the ep. IX!" War, death, are part of the cycle of life. The opposite is love, birth and growth. They were there before Anakin Skywalker and they will be after Ben and Rey. The secret of this saga lives in the suggestion that everything can "continue and exist" only if evil and good will live in balance as nature has done for millions of years. Rey might not totally hate Luke's guts before Kylo's revelation about Luke/the hut scene, but it's completely not going as she planned. She wants him to come back, he won't. She wants to be trained as a Jedi, he tells her the Jedi sucked and shouldn't exist anymore because they cause more harm than good. Really her assigned mission there, even her self-appointed one as well, is totally falling on its face from day 1 and never recovers. Plus he's just so rude to her! The writing isn't the clearest, and I think that's generally Rian's way, which might not work as well in the context of a mainstream blockbuster. But I've held a theory that those rewrites that pushed off TLJ's shooting just before its production related to the third act. Like TFA has just come out, and Mark had now read the TLJ script and hated the portrayal of Luke. So they made Luke and Rey more bad***. I get the one step forward, two steps back idea to the story and character development in the context of a second film, but the tone and approach is so radically different in the last 25% of the film, I can't help but wonder if it was tampered with right at the end. Her story in TFA doesn't have her even meet the Resistance until the very end, and she immediate leaves. She's doing this very fake "we must save the Resistance!" shtick at the beginning of TLJ, and Luke instantly strikes it down and asks why she's really there. It never comes up again until she wants to bring Ben back, and even that I think is a pretty tenuous connection and still hiding a lot of her feelings, her vision etc. And it doesn't really manifest itself until she's woohooing on Crait at the end. It's pretty out of nowhere because there's been so little buildup to it. And immediately after, the cutesy "this is fun!" act is already over, even though everyone around her is happy and they've all miraculously escaped alive. Looking back, the woohooing is really out of place in the context of the rest of the two films. The thing is, even if it were made clearer, I'm not sure people would have absorbed it. They see Woo-Hoo Rey because they unironically want to see Woo-Hoo Rey. I think Disney knew this while Rian underestimated that desire. He and cast members have gone on record about how much he trusts the audience. That's cute and sweet, but like Rey's undying belief in everyone, maybe a bit naive. They see this not as regression, but wish fulfillment, or at least the realization of what people believed Rey to be. We do suspect now that she and Kylo have got a special bond, but the nature of this bond has not been defined yet (we often speculate that they are the Yin and Yang, two halves of a whole etc..., but it's never been clearly stated so far), and when we left them their visions were so different that they broke this relationship that had just begun. I also think that it was a way for RJ to say that Rey needed to find her own place: her motivations have to be personal, not in relation to anyone, wether it's her parents, the Resistance, or Kylo. So, we'll probably see Rey questioning herself in Ep IX: "Why am I here? ", "Why would I be a Jedi? ", "Do I really want to be this Hero they are waiting for?". Then she'll find the answers to these questions within herself, maybe with the help of Force Ghost Luke or Maz, or maybe we'll have a new revelation about her past... Who knows? "They may sabotage the heroes’ plans during an important conflict, tipping the scales toward evil. If they have a positive connection with a hero, that connection will end in heartbreak"
My thoughs on Rey "woo-hooing" when she comes on Crait... Yes indeed, for many people it was the come back of the Rey they "knew" from TFA. Many fans reproach TLJ the characterization of Rey, they're unhappy because she's not as jolly and dynamic as in TFA, and also because she shows compassion for Kylo, for reasons they don't understand; that's what, at least, I retained from many criticisms I've read. Personnally none of this bothers me, because I know that in real life, even the most optimistic and joyful people have their low moments, no one is "woo-hooo" all the time, so I don't get the criticism. And her compassion for Kylo, well... She's a very compassionate person in TFA, so it made sense to me. All this to say that when I saw her "woo-hooing" on Crait, I didn't take that for a "come back" to TFA Rey, or even for indifference towards what had just happened on the Supremacy, but rather a feeling of unexpected joy: she was certainly anxious to find all the Resistance wiped out by the FO's destroyers, so I guess she was relieved to find out that not only her "friends" were not all dead, but also that they were fighting hard! I think that's where the "Whoo-hooo" and the "This is fun!" comes from: she failed in her mission to bring Luck back, as in her self-imposed mission to bring Ben back, but despite her failures the Resistance is still alive and fighting, so it makes her feel suddenly much better. @Mila Lazarus Sure it's possible to find an explanation for Rey woohooing, the problem is that it completely undercuts the heavy drama she just went through in the throne room, and leads to the popular "Rey never struggles" perception. It's like, there's a reason why there isn't a scene at the end of ESB where Luke is chipper and happy. You could have sad and depressed Luke after, but once you break up the tone you can't successfully go back. It was kind of a reset. I was disappointed in RJ when it happened, to say the least. Rey's arc is a deeply emotional/psychological one. It's a piece of delicate machinations. It's no wonder that a lot of fanboys have issues with digesting it. She went from someone who was almost resigned to living in isolation, of seeing herself in that old scavenger woman she eyed with sad acceptance to the Rey in TFA, actively making friends and trusting in people she'd just met (Finn, Han, Chewie, Leia), to the Rey in TLJ, actively throwing in her lot with Ben Solo... moving toward finding and creating a family of her own. That story IS hers. @Saracene wrote: @Mila Lazarus Sure it's possible to find an explanation for Rey woohooing, the problem is that it completely undercuts the heavy drama she just went through in the throne room, and leads to the popular "Rey never struggles" perception. It's like, there's a reason why there isn't a scene at the end of ESB where Luke is chipper and happy. You could have sad and depressed Luke after, but once you break up the tone you can't successfully go back. I really don't want to play the Devil's advocate here, but at the end of ESB Luke had nothing to cheer him up: He had learnt that the villain who had just chopped his arm was actually his father, and as it was not enough, Han Solo had been frozen in carbonite by the same Vader, and sent to the cruel Jabba. Maybe if he had found Leia fighting with the Empire's troops, it would have given him a regain of energy, but she was just as depressed as he was, so... Rey's and Luke's situations are a bit different at this point. We had thoughtful, intense, determined Rey on Crait stepping up and lifting those rocks - aka embracing her new identity as a Jedi (qualifier- not a Jedi from the old Jedi order type Jedi). we had determined Rey shutting the door on Kylo/Ben..
we had thoughtful, sad and lonely Rey holding the broken light saber..
we had in awe Rey acknowledging that Luke came through in the end -(with peace and purpose) and it cost him his life..
we had happy Rey meeting Poe and reconnecting with BB-8 (and his antennae!).. and we had slightly overwhelmed at what is ahead but hopeful and trusting the force Rey at the end holding hands with Leia. Because this is what I see after whoo hoos, I don't mind seeing Rey do whooo hooo at all.. There are many things going on for Rey and I appreciate that the disappointment of what happened with Kylo/Ben doesn't overtake everything that happens for her after. Good for her. This is just my experience such as it is. @Dar-ren19 wrote: It was kind of a reset. I was disappointed in RJ when it happened, to say the least. -I love love this Dar-ren19! I love your description! Her narrative at this point is only 2/3'rds told.. I look forward to learning how this story of Rey's ends. lol This isn't really crack spoiler. lol I never thought I'd comment in this thread - I don't follow crack spoilers or my head would explode, but I am grateful to those of us here who do and who share their wisdom and knowledge with us all so we can discern better the information we are getting. I love the crack leaks, but I when I was reading the level of security that is being taken for 9 it made me realize that most of these leaks are false. Except for people who might have seen concept art/random sets/filming. I thought DJ was just DJ? Didn't they have comic on his character?